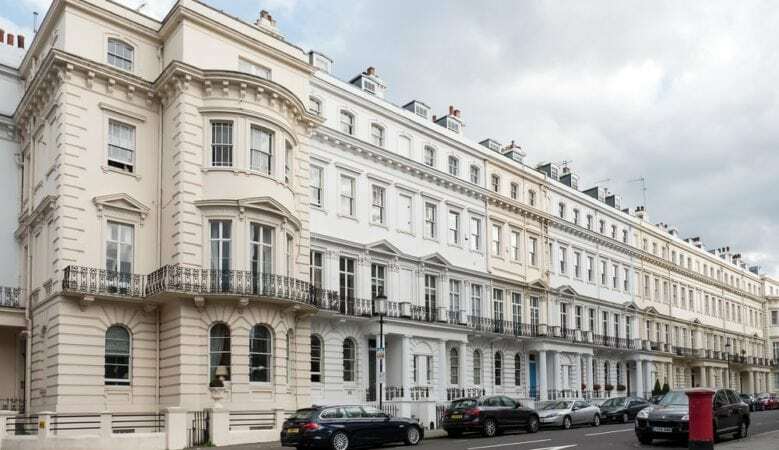 The top end of the residential property market in London saw remarkably robust levels of sales last year despite Brexit concerns, particularly for homes above £15 million, a new analysis shows. Overall there was a total of £4 billion sales in 2018 in the £5 million plus sector of the market, a rise of 10% year on year, according to the latest market intelligence report from real estate firm Savills. In the £15 million plus sector sales increased by 43% year on year to a total value of £2 billion in 2018 compared with £1.4 billion in the previous year. Above £15 million prices have fallen by 22.6%. But prices are still down, with the analysis showing that values are down by 19.4% since their peak in 2014. But it adds that this makes the super prime property market attractive to overseas buyers, particularly non-sterling buyers. ‘The price falls we’ve seen in the central London market, when combined with the depreciation of sterling, means the trophy properties of central London look relatively good value in an international context,’ said Lucian Cook, head of residential research at Savills. ‘Despite the backdrop of political uncertainty and a less welcoming tax environment, these figures are clear evidence that London remains an attractive place for a growing pool of international high net worth individuals to live and conduct business,’ he added. But for the first time since 2008, ahead of the financial crisis, as much was spent in total on £15 million plus properties as on those worth between £5 million and £15 million, and the average price paid for these high value properties was still £3,375 per square foot, some 14 times the average across England as a whole. A total 73 properties worth over £15 million were sold last year, with a total value of just shy of £2 billion, the highest since 2014 when the Government introduced new, progressive stamp duty tariffs, resulting in much higher transaction costs at the top end of the market. In 2017 there were just 51 sales in this price bracket, with a total value of £1.4 billion. Savills recorded a further 261 sales between £5 million and £15 million across London, with a total value just below £2 billion, compared to 290 sales in 2017. ‘The sums spent of the very top end of the market demonstrate the ultimate and enduring appeal of London’s most rare trophy properties, both heritage and new, when they come to the market,’ said Jonathan Hewlett, head of Savills London residential business.